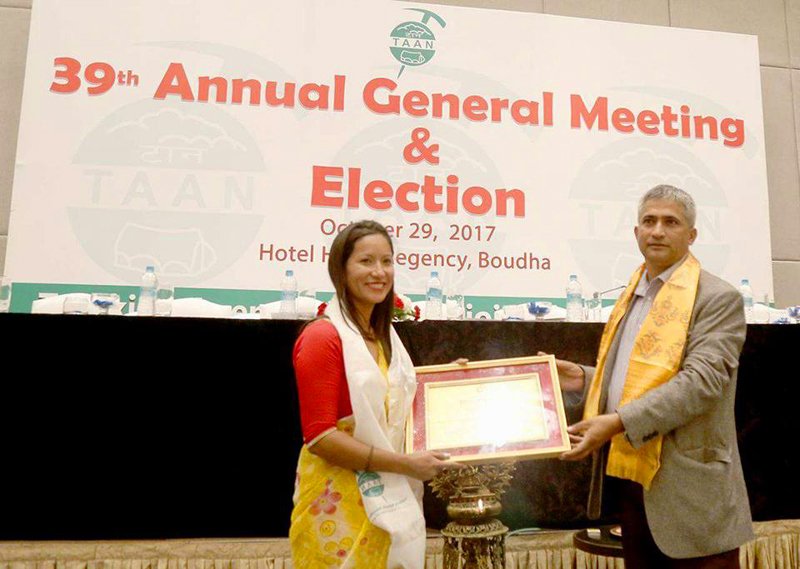 KATHMANDU: Trekking Agencies Association of Nepal (TAAN) has conferred photojournalist as well as an expeditor Purnima Shrestha with TAAN Sagarmatha Pasang Lamhu Sherpa Awared- 2017 on Sunday. Shrestha who is photojournalist in Nepal by profession have successfully expedited “Mt. Manasalu” also known with the name of “Killer Mountain” on 26th of September, 2017.